In May 2014 our parish bulletin in Iron Mountain, Michigan, announced “the completion of an awesome informational [pro-life] ad.” The ad featured 4-D ultrasound images of babies moving in the womb. I was curious to learn more about the ad and contacted the organization, Dickinson County Right to Life, which produced the ad, to take a look at it. Short, emotionally charged, and scientifically accurate, the ad gets its message across powerfully but also lovingly, and closes by providing contact information for Walk of Life, a Dickinson County pregnancy resource center. The non-profit organization that sponsored the ad, Dickinson County Right to Life, is based in Iron Mountain, located in Michigan’s sparsely populated Upper Peninsula. Originally founded in 1972 to help combat the decriminalization of abortion in Michigan, the organization was part of a successful statewide effort to keep abortion illegal in Michigan. Unfortunately, the effort, like other successful statewide efforts, was negated by the Supreme Court’s 1973 nationwide decriminalization of abortion. Tony Adams, present head of the organization, explains their current mission: “Dickinson County Right to Life endorses, supports, and gives voice to the Walk of Life group.” Walk of Life Pregnancy Services, featured in the ad, assists women with pregnancy and newborn needs, providing baby supplies, parenting guidance, and other assistance. Like Dickinson County Right to Life, Walk of Life is located in Iron Mountain. In addition to its support for the pregnancy clinic, Dickinson County Right to Life also sponsors an annual pro-life walk in January, events at local parishes, and a booth offering educational resources at the annual county fair. The group constantly looks for venues to get their message out, and in December 2013 came up with the idea to develop a pro-life ad. “I wanted people to see the baby in the womb. That was my motivation for doing this,” he said. offers 4-D scans. The one agency that does offer the scans was then unable to grant name access due to strict privacy and data security laws and individual agency policies. A second attempt obtaining the scans involved placing an ad in area church bulletins. Parents were asked if they might be willing to donate a copy of their scans for the ad. There was no response. Jim surmised this might have been due in part to the lack of availability of 4-D scans in this geographic area; many women probably haven’t even had one. Undaunted, Jim tried a third approach. He contacted his daughter Caryn Bergsma, of Resurrection Life Church in downstate Rockford, Michigan. She and her husband, Pastor Doug Bergsma, were excited “about the potential for the project.” Caryn, who is very active in the women’s ministry at the parish, like to release their ultrasounds for use in the ad. She received an enthusiastic response. She obtained all of the images in the ad directly from the generous response of these parents. Once the images were obtained, Resurrection Life Church’s video team incorporated them into a high quality ad. Initially the ad was fifteen seconds long, but as Jim Wilcheck explained, that was “just too short.” They expanded the ad to thirty seconds to have a fuller impact. By mid-April 2013 the project was completed. The ad’s visionaries started by getting the ad into local theaters, to be aired with the previews. After speaking with Tri-City Cinema in Iron Mountain, they were directed to Pot O’ Gold Productions, based in Jacksonville, Florida. Pot O’ Gold, which is involved in movie theater advertising, agreed to a three-year contract with Dickinson County Right to Life, at a cost of $13,000. In that contract, Pot O’ Gold agrees to incorporate the ad into their monthly ad package and distribute it to the local theater. The ad first aired in the theaters on May 1, 2014. Each of the cinema’s eight screens shows the ad at least three times daily. Distribution of the ad has not stopped there. In Michigan’s Upper Peninsula, free copies were sent to neighboring Delta and Iron County Right to Life groups. 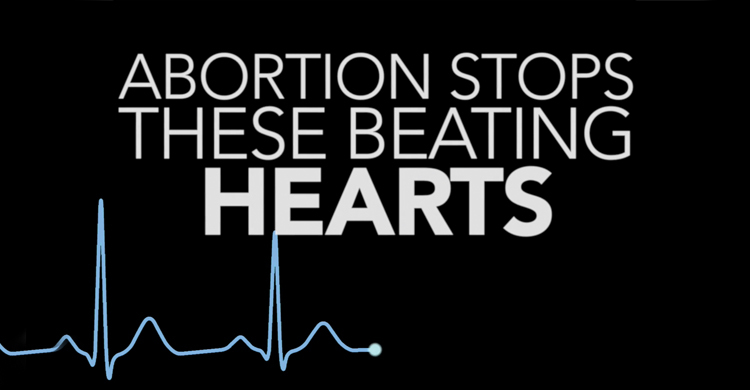 The ad was also shown in a continual loop at the annual Dickinson County Right to Life picnic and at their booth at the local county fair, held last fall. In lower Michigan, Caryn and Pastor Doug and other members of Resurrection Life Parish are working on showing the ad “to thousands in churches and theaters in the east Michigan area.” In addition, people are viewing the ad online and e-mailing it to family and friends. For involvement and support on a more global scale, Jim explained that the ad can simply be downloaded, adding “It is free to anyone who wants to use it,” suggesting that the ad could be shown at theaters, community gatherings, and of course, shared through e-mail. County Right to Life has granted permission to anyone or any organization to replace the contact information for Walk of Life with contact information for other pro-life pregnancy resources. The more people who see the ad, the more its powerful message is shared, the more who may be moved by its message. Please take some time to watch this ad, and share it with friends and family. If only one life of a preborn is saved through this ad campaign, the effort will have been worth it. To learn more about this unique pro-life ad campaign, contact Dickinson County Right to Life, PO Box 304, Quinnesec, MI 49876. You can also call 906-774-8071 or 906-774-5053. Kathleen Parkinson has worked in the health care field for many years. She is an internationally credentialed substance abuse counselor and licensed K-12 school guidance counselor. Kathleen also works on prevention education projects and freelance writing assignments. She may be contacted at 906-779-5859.